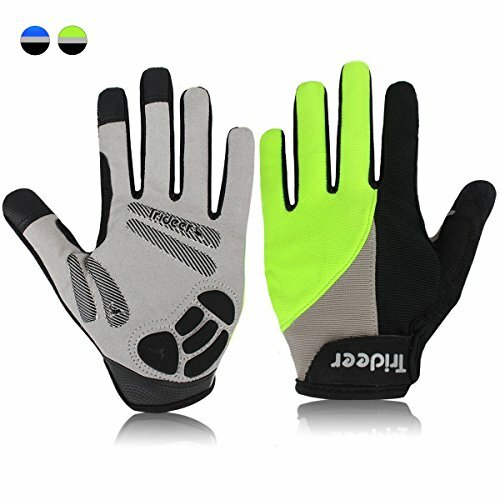 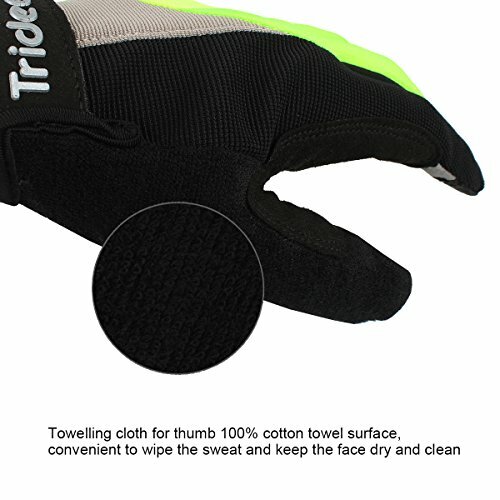 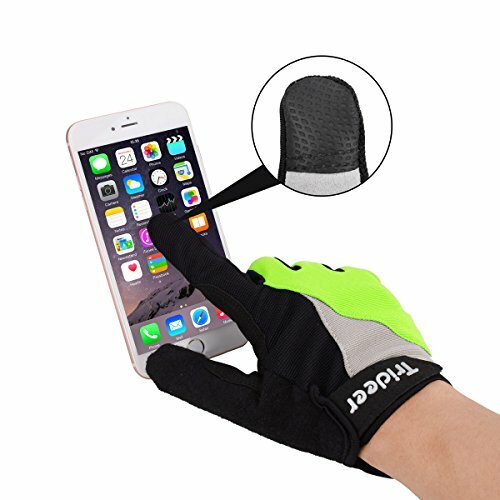 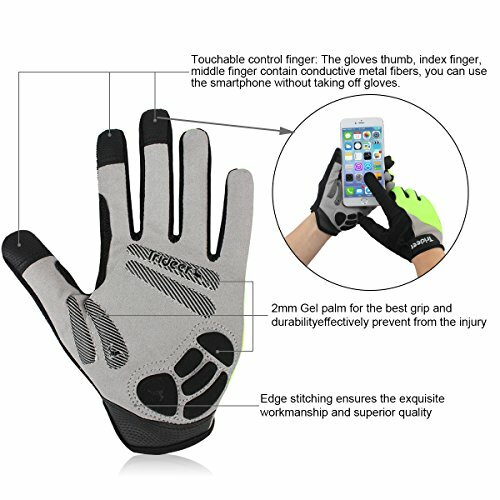 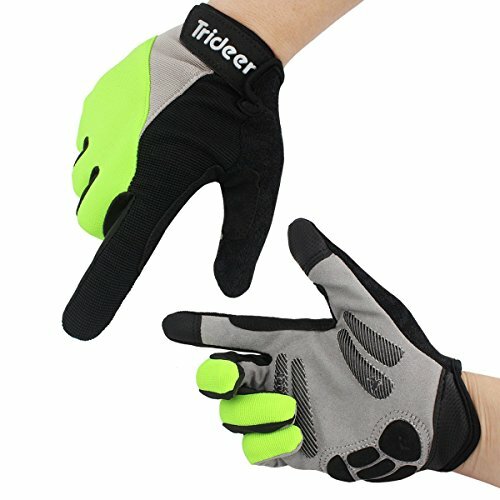 ✔ FUNCTIONALITY: Cycling gloves with powerful Anti-Slip & shock absorption protection, reduce the affect of road vibration, relieve hand fatigue, and avoid stuffiness of palm even in vigorous exercise.The touch recognition make it easy to use in touch your smart-phone and all kinds of touchable control electronic products. 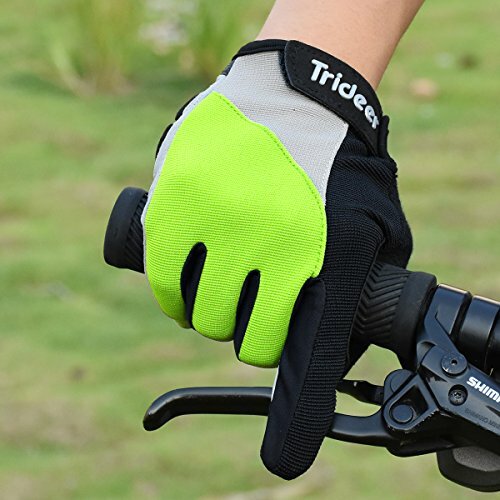 ✔ ADJUSTABLE STRAPS, SILICA GEL PALM & PULL TABS: Adjustable strap for WRIST PROTECTION and PERFECT FIT. 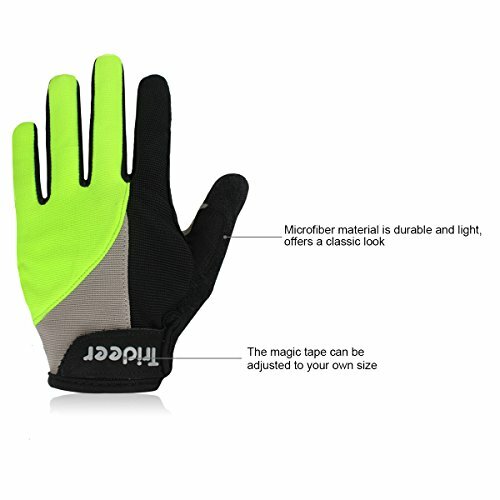 The special silica gel palm has the advantage of wear-resistant, strong grip and antiskid function. 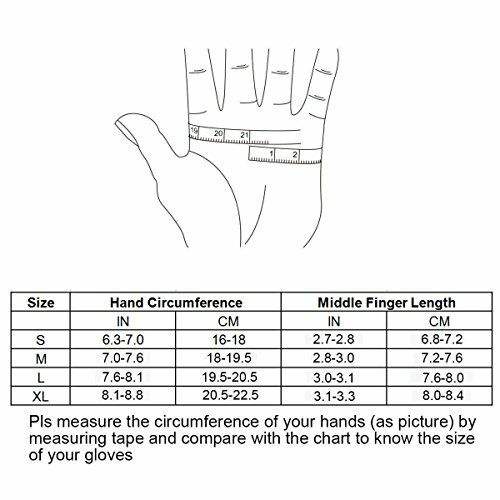 Pull Tabs on fingers and wrist make it easy to pull gloves off/on.